Here in the United States, termites are certainly a problem, but luckily, the number of termite species residing in North America is low in comparison with termite diversity elsewhere, especially within tropical regions. However, the relatively small number of termite species in the US happen to be among the most destructive of all termite species that exist worldwide. 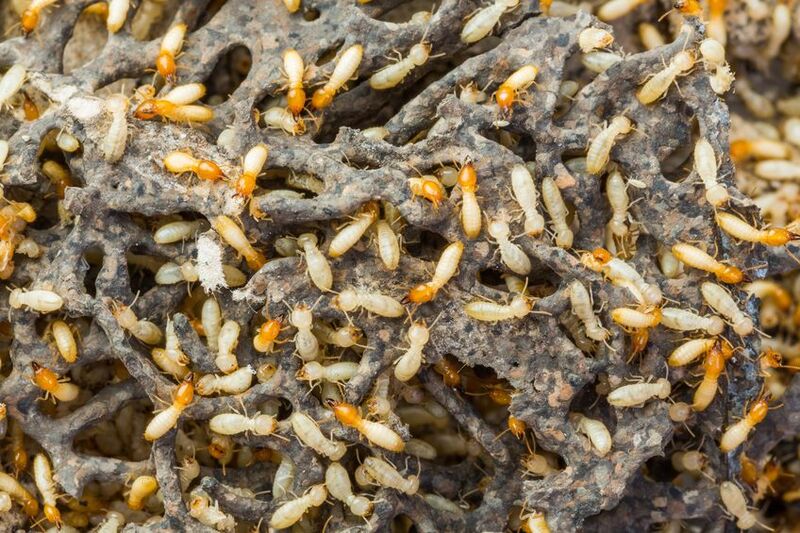 In regions of Africa, Australia and South America, advanced termite species sustain themselves by farming their own fungal gardens within nesting mounds that are intricately built to keep the internal temperature and humidity level constant. These advanced termites belong to the Termitidae family and they are generally not structural pests. In fact, some Termitidae species consume only fungal growths and never wood. Unfortunately, this advanced and generally cool group of termites cannot survive in the temperate North American region, but no American would want to live in any of the regions where advanced termites dwell, as numerous other termites that are destructive to structures can be found in these regions as well. Termite pest issues are far worse in Asia and within the country of Australia than they are here in the US. Termite infestations located in residential areas of these two countries are widespread. For example, in Australia, experts estimate that as many as 20 percent of homes are currently infested with termites. Amazingly, this number shoots up to 90 percent for homes located below the Yangtze River in China, where houses are demolished regularly in response to aggressive termite infestations. Structural damage inflicted by termites in southeast Asian countries is particularly widespread. Termite-infested structures in tropical regions are often beyond the point of repair. In the tropical country of Malaysia, it is estimated that nearly all urban buildings where businesses operate have become infested with termites. The rate of termite destruction is likely at its highest in sub-saharan Africa. Although termite populations may be more diverse in tropical Asian and South American countries than they are in sub-saharan Africa, many homes and urban buildings in Zambia show clear signs of termite damage, but the citizens have learned to coexist with the native termites and termite-damaged structures in the country are still used while needed repairs are often neglected. Have you ever visited a relatively impoverished region of the world and found termite-damaged structures while there?